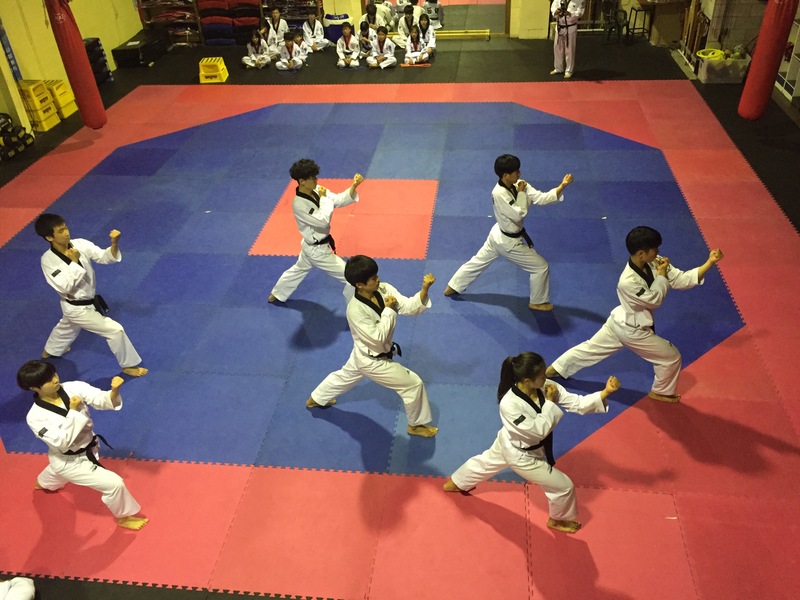 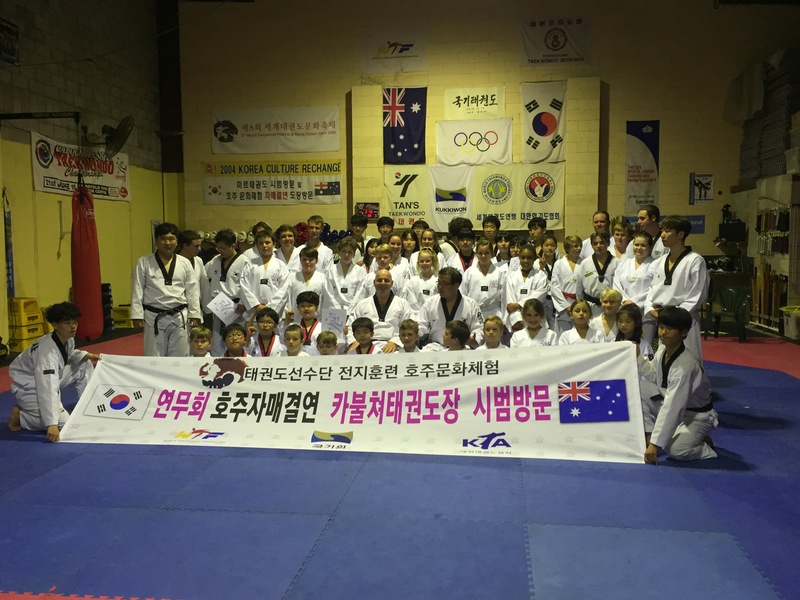 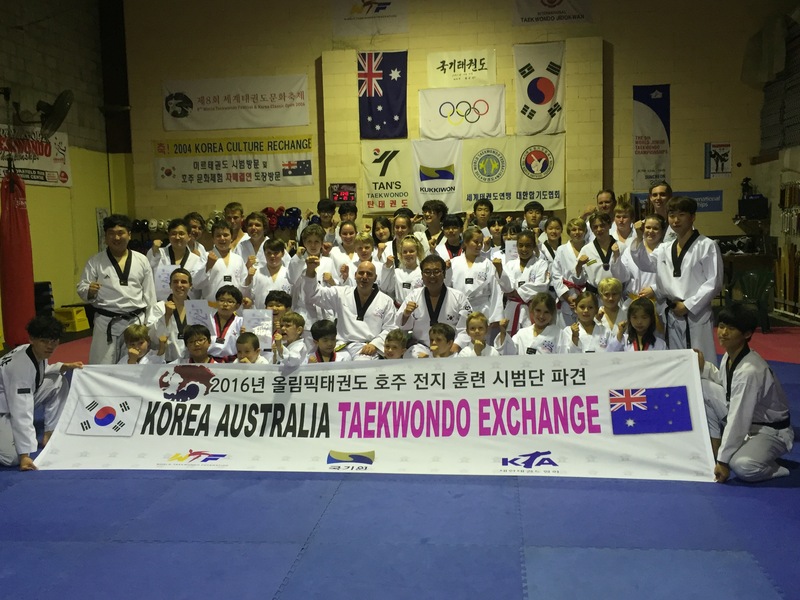 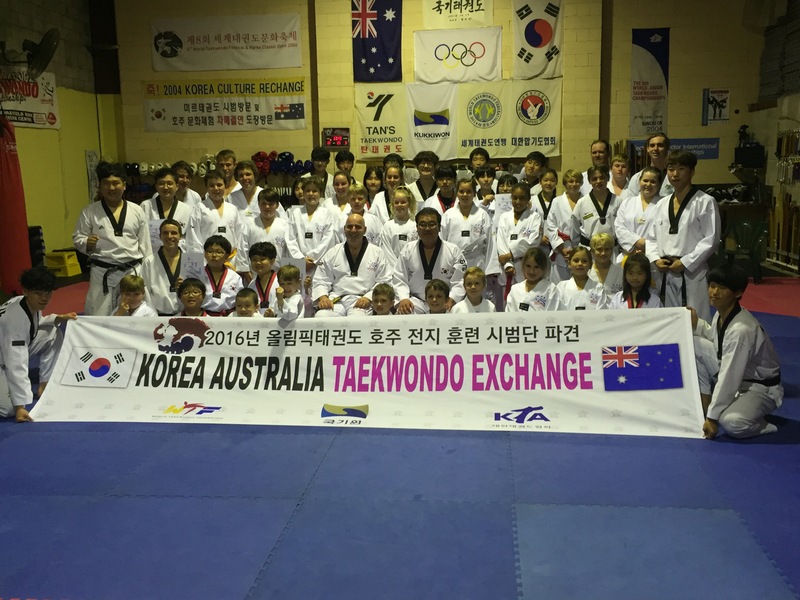 Tonight saw our sister club From Daegu, South Korea come and train with us, under the tutelage of Master Chang-Ho Moon, 24 of his students put on a 30 minute demonstration, from aerial kicks, Poomsae and board breaking just to name a few. 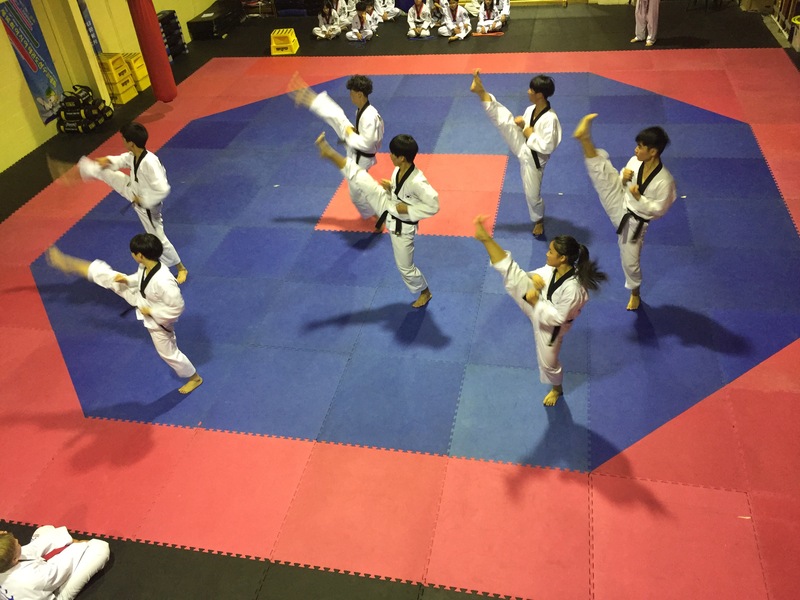 Each of Master Moon’s students were then paired off and are spending the night with some of our families. 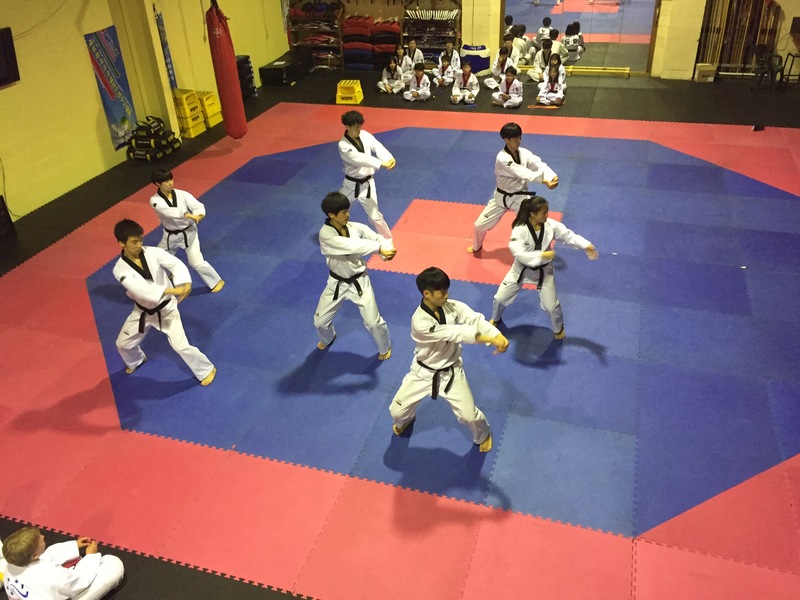 Master Moon and his students last visited our club in 2005, which followed our club visit to Daegu in 2011. 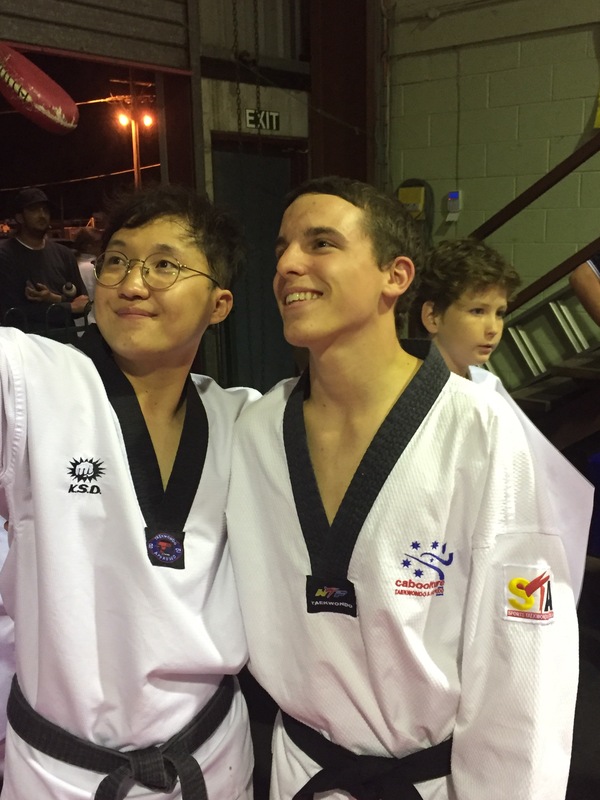 Earlier this week they visited Tans Coorparoo and Tans Currumbin, and will finish their stay in Brisbane for the next few nights before returning home on the weekend.